For so many people, the month of January is all about making, and sticking to their New Year’s resolutions. And for many of us, these resolutions are all about eating better and getting healthy. Here at The Still, we know just how important it is to get healthy and stay healthy so we want to do our part to help you stay on track with your resolutions. This is why, here at The Still, we offer a number of healthy menu options so that our patrons can still enjoy the fun of eating out at one of Las Vegas’ best sports bars—all while staying true to their resolution to eat healthier. Take a look at some of our healthy food options that you can find on our menu today. Grilled Fish Tacos – Just because you are eating a healthy diet, it doesn’t mean you still can’t enjoy everyone’s favorite Mexican cuisine—tacos! There are so many ways to make tacos healthy, including serving them with grilled white fish, just like our signature grilled fish tacos. These are a must-try item on our menu and one that we know everyone will love. 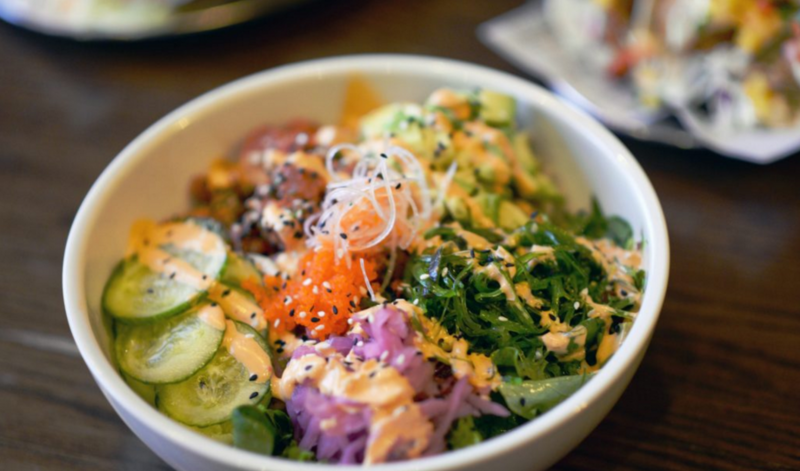 Tuna Poke Bowl-Poke bowls are some of our favorite food trends right now because they are delicious, healthy and filled with flavor. Our Tuna Poke Bowl is a great option for patrons who want a delicious, filling meal, but who still want to stay healthy. It includes mixed greens, avocados, seaweed and fresh tuna. Plus, it is served over brown rice and drizzled with a spicy aioli that give it a punch of flavor. Grilled Chicken Brown Rice Bowl-Sometimes the best way to eat healthy is just to stick to the basics and focus on eating clean, healthy food. This is where our grilled chicken and brown rice bowl comes in. It is simple, healthy, hearty and flavorful, and the perfect dinner option when you are looking to stay on track with your diet while eating out. Organic Mixed Green Salad-There is nothing quite like a big, fresh salad when you are trying to eat healthy. Our Organic Mixed Green Salad is the perfect option for anyone who is looking to cut the calories, but not the flavor. It is made with fresh cut veggies, organic greens and served with a white balsamic vinaigrette that you have to taste to believe. Looking to add more protein to the mix? Just add chicken or steak for a great protein boost. Mini Cheeseburgers-Never heard of a diet? That’s OK, we don’t blame you. For all of your non-dieters out there, or those of us who wouldn’t mind putting on a few extra pounds—we have our mini cheeseburgers. The best part is—you can actually double up the patties for more meat and more fun! If you made a resolution in 2019 to take care of yourself and start eating healthier—we have your back here at The Still. If your resolution is to eat delicious bar food—we have your back as well. 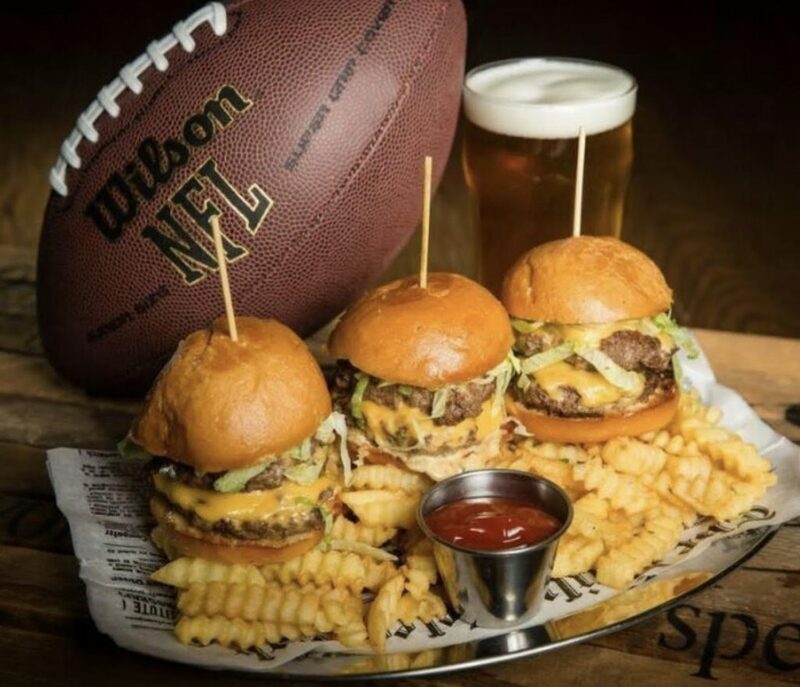 Just come down to our Las Vegas sports bar and enjoy eating delicious, healthy (or not so healthy) cuisine while watching all of your favorite live sports action on our huge flat screens. Here at The Still, you really can get the best of all worlds with healthy food, great drinks and live sports all in one place.